ALBANY – Marie J. Harden, born on February 24, 1924 in St. Johnsville, NY, daughter of Christine and Philip Francisco, died on Monday, November 25, 2013 after a long and beautiful life. Marie was a registered nurse, graduating from St. Peter’s Hospital School of Nursing. Additionally, she initiated the school nurse program at St. Catherine of Siena School and later worked as office manager with her husband at Cotrell & Leonard Inc.
Marie is survived by her husband of 66 years, Anthony J. Harden and three of her four children. Her daughter Patricia Harden predeceased her. Her sons include Joseph, Philip and John. She is also survived by six grandsons and one granddaughter. Marie has eleven great grandchildren with another expected shortly. A Mass of Christian Burial will be celebrated Saturday morning at 10:30am in the Parish of Mater Christi, Hurst Ave., Albany. Relatives and friends are invited, and may call at the Hans Funeral Home, 1088 Western Ave., Albany on Friday from 4-7 pm. Interment will be in St. Johnsville Cemetery in the spring. The family suggests memorial contributions to the Mohawk Hudson Humane Society, 3 Oakland Ave., Menands, NY 12204. 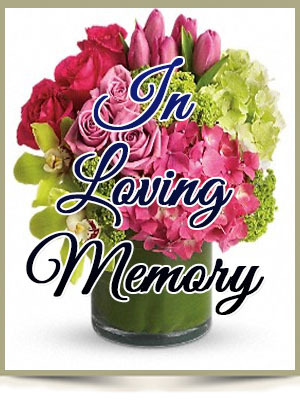 To send a sympathy card, or obtain directions to the funeral home, please visit www.HansFuneralHome.com.